Medical Devices Meetings Twente East-Netherlands is a specialty forum with an exclusive focus on the medical devices supply chain. MDM Twente East- Netherlands will bring together engineering, fabrication, supply chain teams, contract manufacturers and service providers through pre-arranged meetings. MDM Twente East-Netherlands is not another exhibition. It offers a unique platform to identify all the participants prior to the event, request meetings with relevant contacts and meet them face-to-face during the forum. Leaflet Medical Devices Meetings 2019. This event will be organized by World Trade Center – Hengelo together with our partner TechMed Centre who is to co-determine the content such as the speakers and subjects. 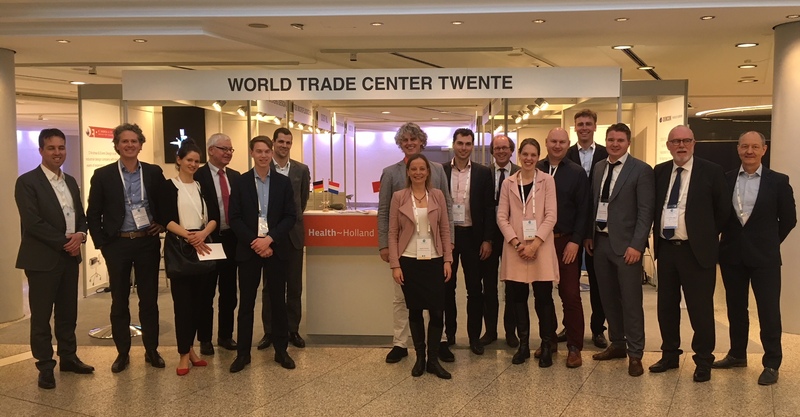 The Medical Devices Meetings 2018 is supported by GO4EXPORT, the economic export stimulus program supported by the provinces of Overijssel and Gelderland. The execution of this International Business Convention for the medical devices industry is performed by Advanced Business Events.